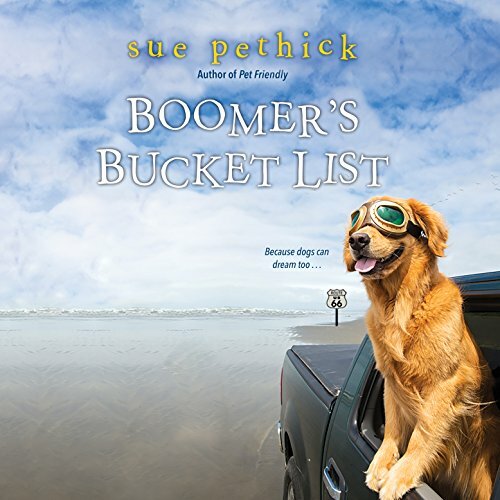 Showing results by author "Sue Pethick"
When her cuddly canine companion Boomer is diagnosed with a rare heart condition, Jennifer Westbrook decides to take Boomer on the greatest road trip of his life. But when she tries to sneak Boomer into a NASCAR press box - disguised as her seeing-eye dog - Jennifer's cover is blown by a curious, but very cute reporter named Nathan Koslow. Boomer takes an instant shine to Nathan, unlike the other men in Jennifer's life. When the charming journalist asks to join them on their journey, she can't say no. Great for any dog lover!